Blinded by falling funding costs, NBFCs raised their exposure to property firms by 46% over 3 years even as banks have been extremely cautious. Then, after sudden defaults by infrastructure operator-financier IL&FS Group last September, Dewan’s share price went into a tailspin. While the lender had no direct links with IL&FS, all shadow banks that were relying on short-term money-market financing to finance long-term assets – either bridges or homes – came under scrutiny. Dewan has since cut its liabilities by $2.5 billion, aggressively securitized and sold assets to investors such as Oaktree Capital Management, hit the brakes on torrid growth and tried to stabilize its portfolio at a little under $18 billion. Meanwhile, Cobrapost, an investigative journalism website, ran an expose alleging that the family of Dewan Chairman Kapil Wadhawan had siphoned off more than 310 billion rupees ($4.3 billion) of public money for private gains. The lender denied the allegations as a “mischievous misadventure” to sully its reputation. Nevertheless, with the stock falling further, Care Ratings and Brickwork Ratings downgraded the lender’s triple-A issuer credit ratings by a notch. The risky part of the business, though, is lending to builders. Leaving aside the relatively safe avenue of lease-rental discounting, India has about 3.4 trillion rupees ($47 billion) of outstanding developer loans, according to Jefferies analysts Bhaskar Basu and others. Blinded by falling funding costs, shadow banks raised their exposure to property firms by 46 percent over three years even as bank loans to builders grew by a far more cautious 4 percent. Stock markets saw the financiers’ high returns on equity and ignored the risks. 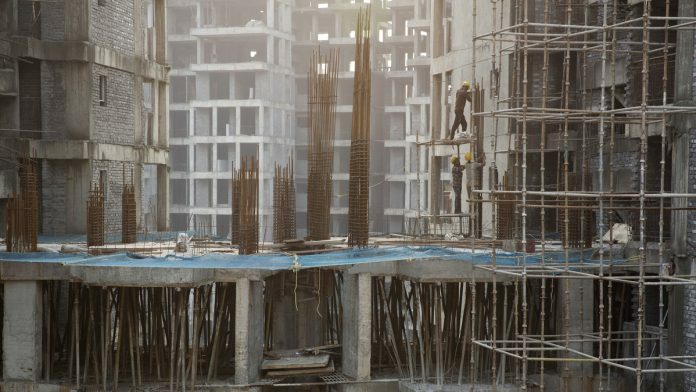 In December, Jefferies analysts estimated 81 percent of the loan book of Piramal Enterprises Ltd.’s housing-finance subsidiary to be made up of advances to 134 construction accounts.